12 Days of Christmas: Day 4 … It’s A Giveaway Day! Today it’s all about giving! 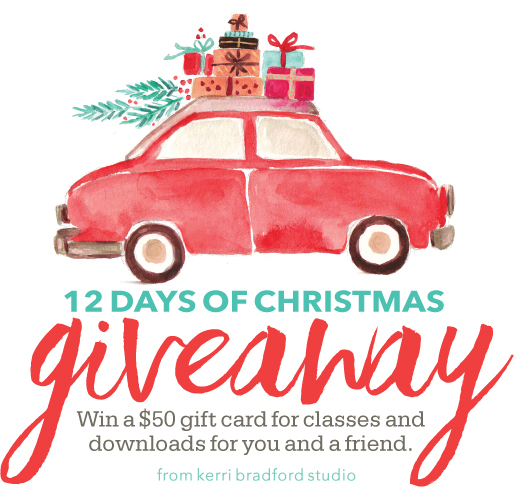 another $50 gift card for you to give to a friend. here on the blog, Facebook and Instagram. So if you’re doin’ some math in your head, that’s six gift cards total! Be sure to follow the instructions for winning in each locale. and share what makes them so amazing. I’ll announce winners Sunday morning. Will make an awesome page in my December album! I love a great gift presentation. And clever Christmas tags like this from Layle? Awesomeness! Thanks for all the freebies and the chance to win such awesomeness! Tag to Jaclyn Trapp who is my awesomely, creative daughter who is such a sweetie pie! Sheila Holzhuter is a great friend because when we get together for crops, which is only a few times a year, she stays up with me and we are always the last ones up. We live 5 hours apart so we really treasure our time together. We come up with some creative ideas though!! Carla Demoulin not only is she my best friend, we share a grandson and a great neighbor she is always ready to crop and try all the “crafty” projects I see online. I would like to give this to my Sister in Law, Sharmin, who I also consider a dear friend. Thanks for the great file! I’m tagging my friend Ann. She’s helped me before I even got my silhouette and is a great crop partner. I just wished we lived closer. Thank you for this wonderful opportunity! My friend is my daughter. She was married just over a year ago and lives way far away.I was just there over Thanksgiving and we had fun doing projects together. She has a new home and needs to fill it with more crafting goodies. I have to say my daughter – what makes her amazing? She’s kind, loyal, loving and brave. She’s my little girl who has become a woman I admire so much. I’m so lucky to have my daughter as one of my best friends. I like forward to your 12 Days of Christmas every year! I’m tagging my friend Kris Beauregard because she adores you as much as I do. Thanks! My son, David, is one of the most awesome people I know. He has faced many obstacles and overcome them (with God’s help). He recently bought a Silhouette Cameo to make decals for bicycles using vinyl. He works in a high end bike shop, so has many contacts for clients. It’s so fun to share all things Cameo with him! I have so many friends who amaze me that it’s hard to just pick one. But for this I’ll pick my friend Laurie M. She shares so many of my loves such as scrapbooking, watercoloring, lettering and any new craft thing that comes my way. It would be awesome for her to win! Thanks for the cute freebies! I’d like to give a gift card to Lizzie Crippen because she’s fairly new to her Cameo, and I want to introduce her to your great stuff! She’s dealing with a sad personal matter and I don’t live close enough to cheer her up. I’d love to make her Christmas a little brighter. Anna Rita is a beautiful person. We share the same passion for scrapbooking and plannering. She’s opening a YT channel and a personal blog where to share what she’s able to do and I think it’s great!!! Thank you for this amazing chance! Having fingers crossed! My name is Dawn Elaine Howells, and my friend is my daughter, Ashley Bellis! Among her MANY attributes (I’m her mom – what can I say?? )which make her AMAZING are her love of everything crafty, her devotion to her little family, and her love of the lord! MERRY CHRISTMAS!! I love the file today! I’m tagging Amber since she is my sister and she can always make me laugh. She loves to create almost as much as I do. Thanks, Kerri! My friend Latosha Cherry is a great friend. She kind, generous, and will do all she can to help and support others. Hey Kerri, it is Marilyn Bronson here and my friends name is Karen Erbe. We have been friends since the early 70’s. She is truly my bestie and is amazing because without her we would not be parents. We could not have children and Karen stepped in and had her Mother intervene with a woman in their town who took in pregnant teens and helped to get the babies adopted. That is where our amazing Son came from and there is nothing more amazing that that!! My friend Mel Hay — A “southern belle” with a genuine kindness ..and a real sassy streak! Super fun giveaway! Thank you! I have a friend, Kathleen D, who is always inspiring me to do things that make my heart happy and bring me joy. The crazy thing is that I have never met her in person, yet she fills my daily life with positive energy and uplifting thoughts. She’s a keeper! My name is Bernice and I want to acknowledge my daughter Alana who, at 26, is fighting cervical cancer. My heart hurts for her. Thank you so much for the Christmas freebies. That is very generous. I love your silhouette classes, I have learned so much. It is amazing how much the knowledge I have gained through your classes on the silhouette program are transferable to other art programs, like the embroidery machine software. Suzi is my fellow scrapbooker and card maker, she would be tickled pink to receive a gift of designs or classes from your site. Thank you for all you do and the opportunity to win. Love this one! Thanks for the giveaway! I would give the gift certificate to Julie Cutaia! Ashley C; Leah Hanson is my friend, and she is so amazing because she is crafty and smart and loving to all. I LOVE the 12 days of Christmas you do every year! 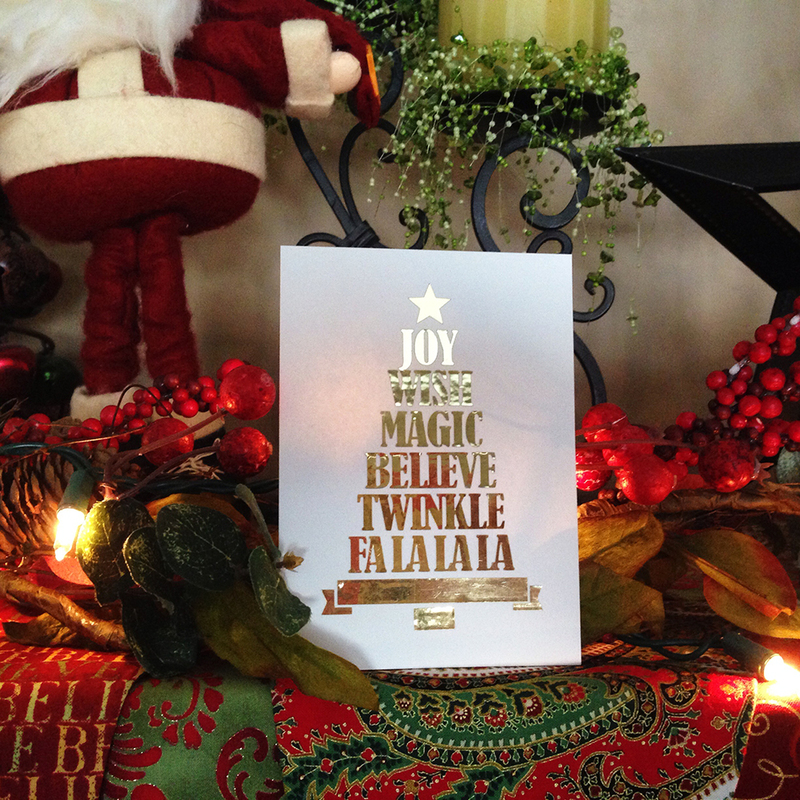 Too many friends to consider…but I’d have to say my sister Krissy Terry would love this gift card! Thanks for all the gorgeous files! My friend Latosha Cherry is always there for anyone who needs her! Thanks for the free file! My daughter Kirsten is a freat friend these days snd loves to use my Silhouette when she has time! 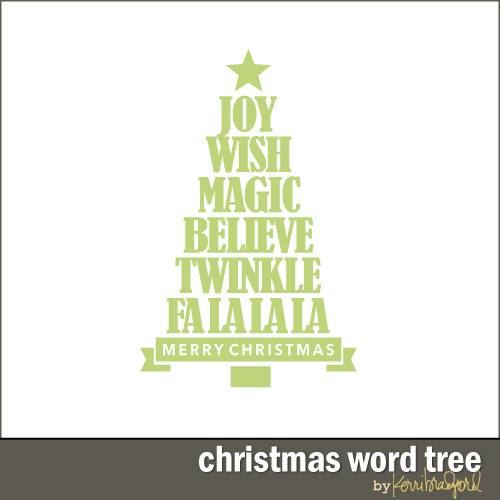 The word tree is great! Thank you. This week when I watched Blood and Oil I couldn’t concentrate because I kept looking at the sets your husband created! Great job. I love how you primted that in gold foil! Katrina is a great friend who has more talent than me! Kathleen is so amazing because she is always learning. She is enthusiastic and fun! Her only flaw is living all the way across the country! Thank you for today’s lovely freebie — I love your example with the gold! Love all the ideas. Would love to win for me and my SBing BFF, Lora. She does so much for our group, Scrap Princesses. Thank you for sharing freebies! I’m excited to use them in my DD album. I’m thankful for my pen pal Jenny who has become a dear friend. Someone I can always turn to! Thank you for all the great freebies! I would love to give a gift to my daughter in law, Nico. After having a baby last Jan, she is just starting to get back in her crafting swing and this would be a perfect gift! Beautiful card!! Love the file and your use of the foil!! I may do a few of my cards like this. Thank you so much!! Tagging my friend, Diane Carter. She is just about as craft-obsessed as I am! What a great opportunity! I would share this gift with my friend Lynda that I’ve reconnected with through crafting! She recently bought a silhouette cameo and I’ve introduced her to your site with all it’s goodness. She could benefit from your classes and I know she loves your this-n-that kits. woohoo!! Thanks for the opportunity. My sister Cindy is my BFF, she is the only one who totally gets me, lol. When we get to scrap and craft together, which is nearly not often enough in my opinion, it is such joy. My friend Brook loves me for who I am…. good and bad. We both enjoy lots of the same things and her hubby bought her a cemeo last year for her bday. We’ve both been making such neat things with it. So much fun! I just love your twelve days of christmas. Such beautiful freebies and I love the past posts. 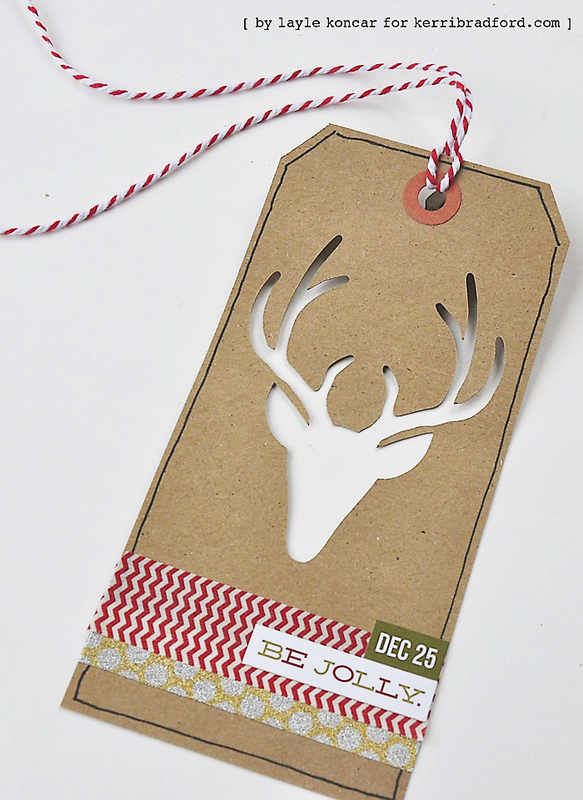 The tag with the reindeer is totally cute! Thank you very much for your generosity. Thank you so much for these free gifts! Love your word art! I would share my good fortune with my sweet daughter-in-law, Mary Davis. Thank you so much for the chance to win! Thanks for offering this great giveaway. I would love to share this with my friend Scott. He is so crafty and always supporting me in my endeavors. Thank you Kerri for all you have taught me and showed me. I think you are the. Best. Thanks for the lovely tree file! Thanks for the giveaways! I would love to share with my scrapping friend, Jan. She always inspires me with her creativity. Is this the vinyl from Sign Warehouse? Chloe is amazing because she is always there in good and bad times. Her love and support are unwavering and much appreciated. Nominating my sister, Susie Dorsey. She introduced me to the Silhouette and Kerri Bradford classes. I would share with the one who started me scrapbooking, my sister Lori. We use to go every year to Scrapfest at the MOA and crops at the scrapbook store she worked at, but alas they no longer have either anymore! But she now has a little one who she can document for! She shared with me way back and I want to do the same now for her. I would totally give the other gift card to my sister in law who got a portrait last year. I think she would love some of your shapes, but I think the classes would be nice for her! Portuguese is her first language, so having the videos and being able to replay them would probably really help her understand! She is amazing because of all the things she’s been willing to try and learn after moving to the U.S. Thank you so much for the freebie. I love the Christmas tree! I would give the gift certificate to my dear friend Jeanine. She gives so much to others and she totally deserves a gift certificate! She is kind, thoughtful and very generous with her time. I would give the gift card to my wonderful friend Robyn Ondish, who’s an amazing crafty mom that definitely needs to take some time for herself, with everything she’s been dealing with!! I would give the gift to Jenny Rizzo – she just bought a Silhouette. I’m so happy to have someone to share this activity with and exchange ideas. I’ve already told her about this website! So much fun… and loving the free designs!! This is adding so much the wonderful, warm feeling I have this time of year!! Merry Christmas to one and all… Be especially blessed. I’d love to give a gift to Marie G. as well… she deserves a little extra jingle! Anne VG – she never forgets your birthday, she’s a fantastic college friend I’ve known now for 14 years! Collette C is amazing because she’s my sister and she puts up with me, which I’m sure takes a lot! Thanks for the freebies and the chance to win! Love your cut file with the gold vinyl :D My twin is always there and there’s nothing more I could ask for. Thanks for the free files. Merry Christmas. Thanks for the freebie! My friend Viv is great to share crafty plans with! Thanks so much. These little freebies are so great for December daily! Today’s one is awesome! My mum is awesome. She is always there when I need her!! Thanks for the giveaway chance. I would gift this to my sister Nicole who is very loving. She says she isn’t creative or crafty but has great crafting and decorating ideas. It would help her explore using her creative side more. I have thoroughly enjoyed the freebies. What a wonderful giveway! Thank you for your generosity. I would give this to my friend Jessi S., new to silhouette and wanting to learn more. Yes! Love this week of fun! I’d share with Amanda. She and I love using cut files on everything! Jana M. She would do anything for anyone. So kind. Love this! What a great giveaway! I would give to my co-worker! I love your classes and would love to share them w family and friends!!! Merry Christmas to you and your design team… Thank you for the continued inspiration!! First let me say I love the 12 days of giveaways….so generous and thoughtful of you. Second thanks for the chance to win. I would share this with Michelle B so we could continue to challenge each other with new ideas…somethings we started 16 years ago when we met at a LSS crop! Oops! Forgot to include my bestie-sister’s name! My sis, Darcie Naylor, and I have practically identical Pinterest boards – we love so many of the same things! She recently got a new home after years of waiting and I want her to be able to decorate and craft to her hearts content! Wow! Thanks for the change to win a great prize! happy holidays! love the great inspiration. My wonderful friend, Debbie Shypitka, is my choice to win a gift card! I was very sick for 16 months (March 2014 to August 2015) and during that time she constantly came to my home to visit & scrapbook with me because I wasn’t allowed to leave home due to infections that could have cost me my life! I have Rheumatoid Arthritis and because of my medications I can’t drive but Debbie comes to pick me up and takes me to every event, luncheon, get together etc. to make sure I don’t miss out on anything and she NEVER asks for anything in return. Debbie has a huge heart and I’m grateful to be blessed with her friendship! Wow Melitta! You have an amazing friend! Be well. OMG Love your stuff! Just having a quiet morning whilst my little man sleeps and catching up on your blog! Id love to tag my friend Courtney (@Ravinink) as she is super awesome and would love your stuff as well! I will tag Wendi Lucchesi as she is a very talented scrappy friend!! Karen and my daughter Katy Peterson, who is so amazing because she is so kind-hearted. Love the giveaways the past several days! Thanks!